Even people who love their RVs complain that it’s hard to stay organized while traveling. Why? Well, first of all, an RV is a much smaller space than most of us inhabit normally. Secondly, it is more difficult to establish good routines and habits since you are not in the RV as much as your sticks-and-bricks house. As a family of five, we have our fair share of stuff. And that stuff can easily turn into a giant mess. Here are five simple tricks that have helped us become a bit more neat and tidy over the years. So we don’t want you to go buy wood and nails and actually build anything. But just like at home, shoes and jackets can get out of control fast. Many people find themselves with piles of stuff around the door to the RV. Plan ahead and provide bins for shoes and hooks for keys, coats, and purses. RV closets and cabinets tend to be deep and cavernous. Things will be a disorganized mess within a few days if you just pile your items into the cabinets. In our RV, everything gets a container. For example, we might put washcloths in a repurposed shoebox and books in Ziploc bags. We also swear by packing cubes, color-coded for each member of the family. Sometimes things aren’t clean or dirty … they are in between. Especially on RV trips, we try to reuse items like sweatshirts, pajamas, or beach towels. Often these transitional items end up shoved in our kids’ bunk beds or on the floor. We attached adhesive hooks onto our RV walls to help with this issue and also placed a clothesline across the shower stall. We are guilty of transitioning mismatched kitchen items into our RV. This means mixing bowls, cups, pots, and pans might not stack as nicely. It is worth it to have items in your cabinets that nest well together. Otherwise, you will be dealing with a disaster after the first round of dishes. After a camping trip, go “room by room” and take note of the items that you did not use even once. Repeat this process a few times and if something repeatedly appears on the list, stop packing it. We like to remind ourselves that in this day and age, you are never too far from a store. While it is good to be prepared, you really don’t have to pack for every imaginable emergency. More stuff usually leads to more messes. 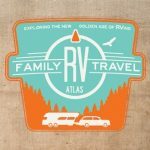 Staying organized in the RV starts with paying attention to your messy hot spots and developing simple routines to fix them. Less time spent cleaning up the camper is more spent in the great outdoors. And that’s the whole idea, right? Home repairs: To DIY or not to DIY? Save Home repairs: To DIY or not to DIY?